Nobody ever has a bad word to say about Nostradamus. Indeed, volumes and volumes of books have been written about this arch-predictor of future events. That should be enough for my argument that astrologers are relevant and prophets of the first division (now called The Premier League but old habits and that) but I will write further of their great service to humanity. It is a fascinating science the study of astrology and in the morning I fervently read all the newspaper horoscopers that divine the day I am going to have. Using their foreknowledge I know whether to get up out of bed or not. Pre-warned means I can change the road of my life without any Frostian gambles and avoid the pitfalls, so you seer they do serve a purpose. The celestial language employed by these mighty sages make you want to tail it like a comet to your nearest telescope and gaze at the stars. “The five moons of Pluto are converging , this means pentagonal good luck for you.” Thanks a bunch of fives, Mystic Meghan. Who knew the Kuiper-belted dwarf planet Pluto had five moons? And that their names have Underworld connotations. It’s just so interesting. Our big bad planet has only one moon and it’s boringly called- the moon. 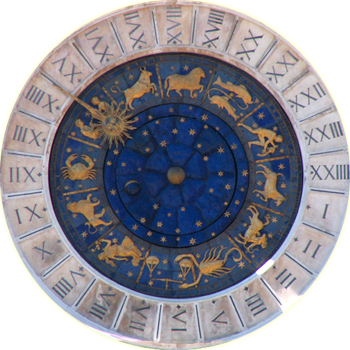 There’s a thing called a cusp which gives you the characteristics of two signs of the Zodiac. Quasar! You can be a crabby twin or a lion and a virgin at the same time. The cusp word is one of my favourites as is the phrase “on the cusp”. Without any modesty I attest that “on the cusp of greatness” is applicable to me. Nearly there. Freddie Starr ate my hamster. The Hamster Freddie’d right back at him. The General Data Protection Regulation (GDPR) is a cookie too far. You can’t even access their official site without agreeing to the regulations! Every visit to a new website is taking an extra click. GDPR! It’s a click too much.